The Puppet Master exercises power without conscience, manipulating and destroying lives; because he can. It’s a game and he doesn’t need reasons. Ask him – Why? And he’ll answer – Why not? Chief Inspector Mike Barton is going after the criminal organisation behind a massive drugs and human trafficking operation. His team of investigators have had the main targets under surveillance for months, but Barton still doesn’t know the identity of the man who is pulling all the strings. Now he’s under pressure from his bosses to move in and close the net. ‘We’ve got another month.’ Within days an unexpected turn of events disrupts the Puppet Master's plans, and in his efforts to regain control he sacrifices some of his closest associates. 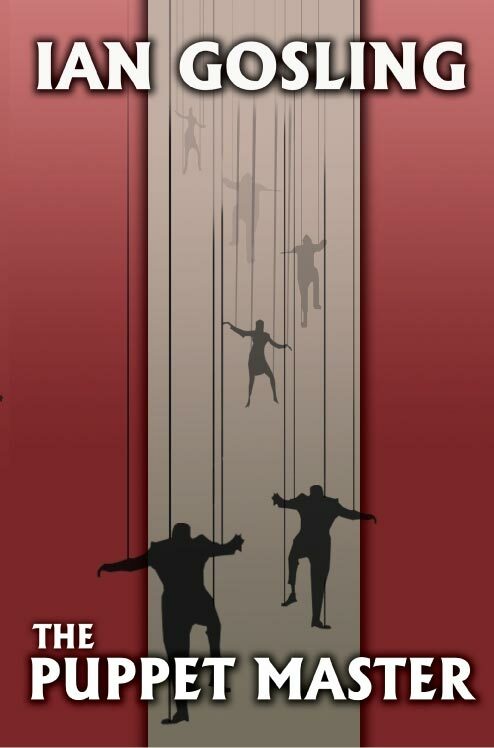 A trail of lies and corruption leads Barton through a dark underworld, where human life is regarded as a commodity – traded for profit, abused for pleasure, written-off for expedience – to a more secret, sinister place where behind their façades of respectability greedy men have become willing puppets to satisfy their lust for money and power. The Puppet Master's acts of betrayal have sown the seeds of his own downfall and he makes more mistakes as the police get closer. Driven by a ghost from his past – taking risks and bending rules – Barton is rapidly uncovering the truth. When he uncovers the darkest secrets of the Puppet Master’s double life, things get personal - and in a dramatic conclusion, the stakes get higher. The Puppet Master was conceived out of a question. Every time I go on holiday to the Costa del Sol there are more resorts, hotels, golf courses, villas and apartments. I'd been out for a drive in the hills behind Marbella, and found myself wondering - how much of this is paid for with dirty money? Like most of us Mike Barton is a flawed character. and anyone who knows me, will know where many of his flaws come from. There is quite a bit of me in that particular melting pot and perhaps even more of what I would like to be. I hope that you will like him, although I know that at times he'll frustrate you. Twisted, cruel, psychopathic perhaps, a callous user of people - there is little if anything that might redeem The Puppet Master. And he is also very good at what he does; and he does it because he can, and without a thought for others. Damaged as a child, the only lessons that he learned were to look after number one and to hell with anyone else; and not to pity those less fortunate, but to despise and abuse them. Would you want him on your side? – The only side he takes is his own. Would you want him as a friend? – He doesn’t know the meaning of the word. Time – Set in 2003, the book also looks into the past - back twenty years to the tragedy that still haunts Barton, and a further forty years back to events in The Puppet Master’s childhood that he cannot forget. And for both men, the anaesthetic of time has numbed the pain, but will never heal the wounds. The events in this book are the invention of the author, but the inspiration came from actual reported cases. One only has to turn on the news or read a newspaper to know that, unfortunately, real life can often be more terrible than fiction. The criminal organisations involved in the illegal trafficking of drugs and human beings are like cancers eating away at our society; making huge profits from their trade in human misery and devastating the lives of countless numbers of innocent people. Law enforcement agencies around the world are engaged in a seemingly never-ending war, in which the enemy is assisted by modern communications technologies, the growing global economy, corrupt administrations, greedy businessmen and weak politicians.